Other than designing and manufacturing his line of clothing, fashion guru Ralph Lauren is known for collecting an exquisite array of classic automobiles. One of his prized rides is the ultra-rare 1938 Bugatti Type 57 SC Atlantic Coupe, which served as an inspiration for the Ralph Lauren Automotive Watch. This 39-millimeter-diameter self-winding timepiece features a steel case with a matte black dial encircled by inlaid burled elm and a sapphire crystal cover. The watch is water-resistant to a depth of 50 meters (164 feet). 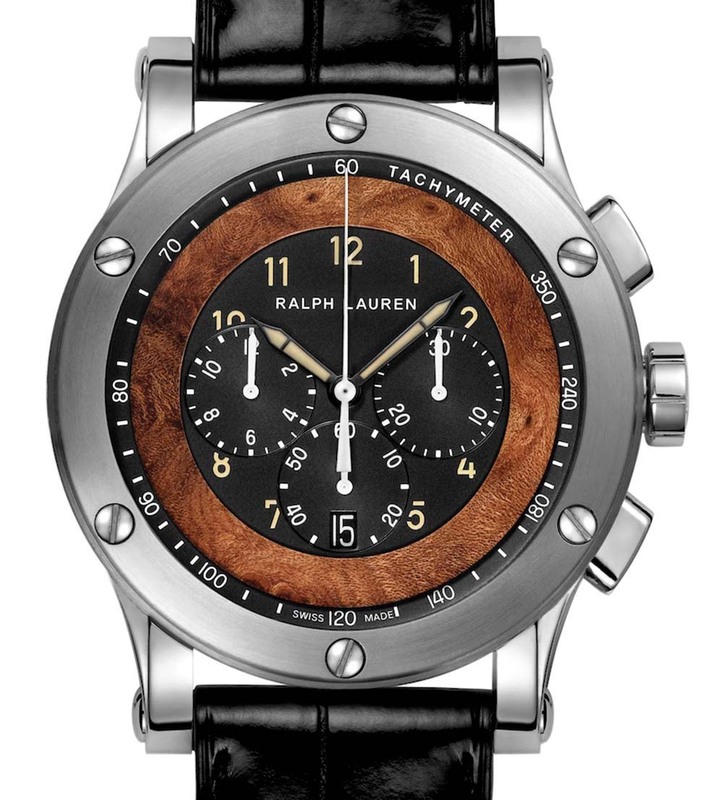 The Automotive Watch sells for $4,800 and is available through a select number of jewelry retailers listed at www.ralphlaurenwatches.com.